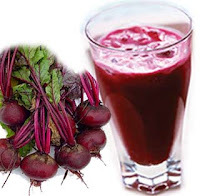 A recently conducted study has revealed that regular intake of a glass of beetroot juice helps keep a tab on blood pressure. The study has been carried out by a team of researchers at the Queen Mary University of London. The study noticed that people who drink beetroot juice or take beetroot tablets record for a control in blood pressure within 24 hours. The study suggests that BP lowering properties of beetroot can be attributed to nitrate content found in beetroot is responsible for controlling blood pressure. "We gave inorganic nitrate capsules or beetroot juice to healthy volunteers & compared their blood pressure responses & the biochemical changes occurring in the circulation," Amrita added. One of the results of blood pressure abnormalities is heart disease. The report was recently published in the health journal called Hypertension.